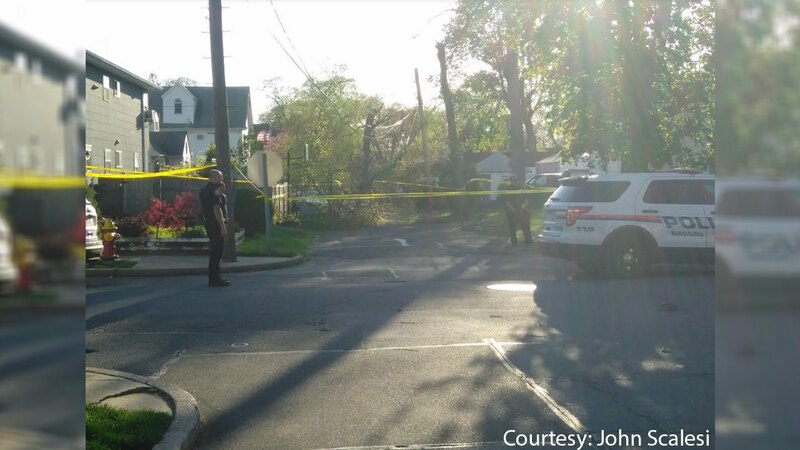 NORTH MERRICK, Long Island (WABC) -- A scary situation unfolded on Long Island on Tuesday night when a large tree limb fell on top of a teenage boy. It happened just after 6:30 p.m. near Third Avenue and Central Avenue in North Merrick. The teenager was treated at the scene and his injuries are not considered to be life-threatening. Police believe that high winds may have caused the branch to come down.